World class drive-train and suspension package. Designed to handle, built to win. 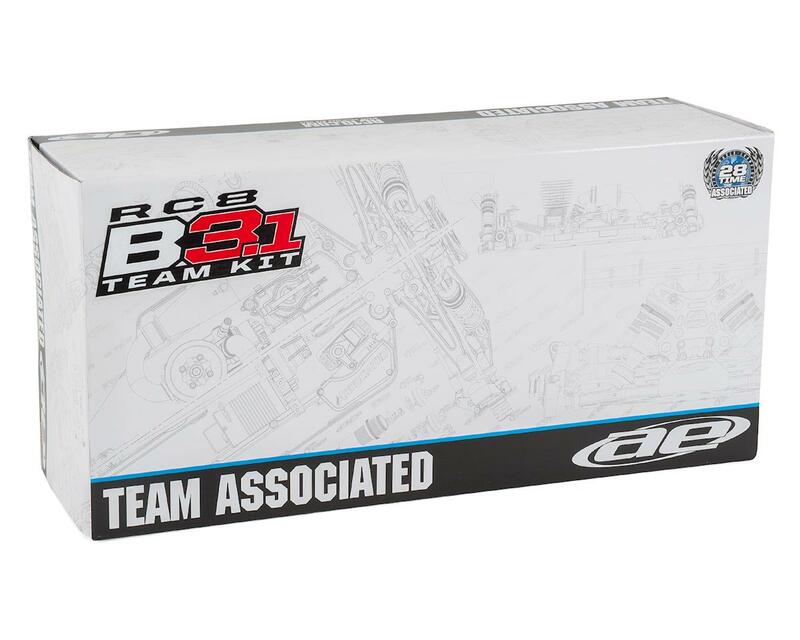 The RC8B3.1 was designed by 1/8 scale racers for 1/8 scale racers, and delivers high performance that will help put you on the podium. Both the Mp9 and the RC8 chassis do share lots of part design in common but the steering and ball stud system gives the RC8 chassis an edge that is simply not easy to ignore! 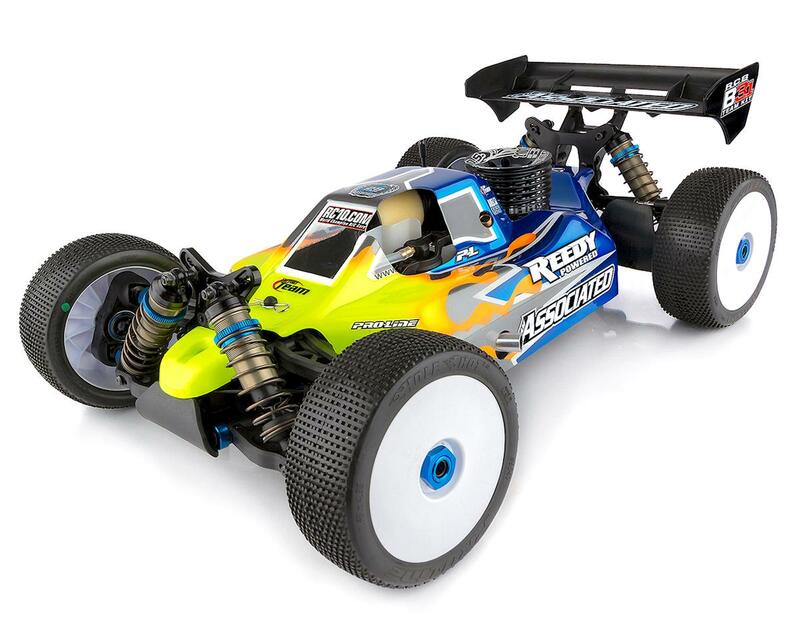 Just ran my new buggy, it was fantastic. For the money you can't beat the value of the AE buggy. I didn't have to buy anything extra, used all the kit parts and turnbuckles and it still has tons of rip and is much lighter than older gen buggies. I got the Werks B5 Pro 2 for $285 and the kit clutch setup had great feel and tons of rip. I heard some team guys go from 2 to 4 aluminum shoes but haven't tried that. 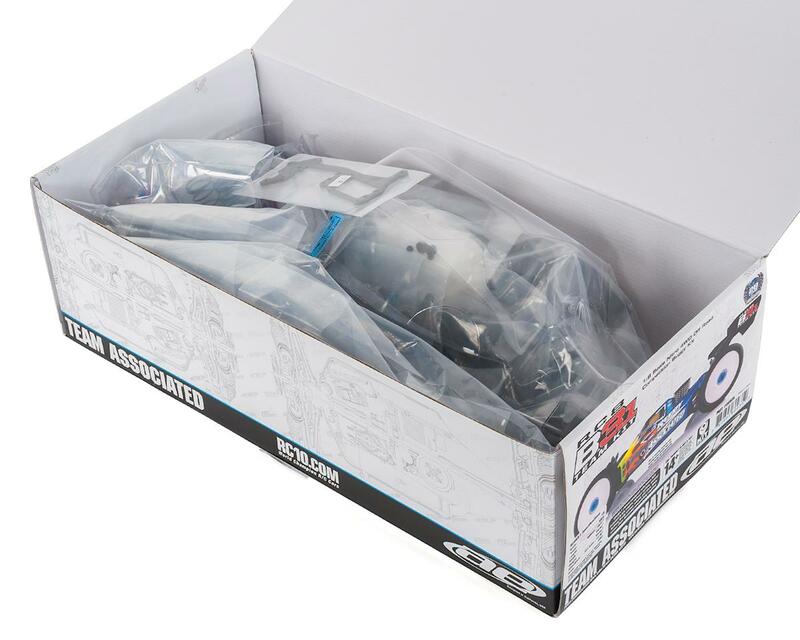 Parts are very durable and fit was very good on everything. I did prefer the 6 hole pistons to the kit 8 hole setup and I run 10-7-5 diff oils. Rear pistons I drilled out 6x1.3, to 3x1.45mm and then 3x1.3.